The first thing when the patient is diagnosed with cancer is to detect whether it is a Benign or Malignant. A benign tumor is a stage when the cells show normal growth, but the production of the cell is higher giving rise to the abnormal lump (compact mass). In the case of Malignant tumor the cell shows abnormal growth, they overgrew in numbers uncontrollably, produces lumps and result in the cancerous cell. Secondly, the cells in benign tumor do not spread to other parts of the body from their site of origin, while the cells of a malignant tumor may spread to other parts of the body from their site of origin (metastasize) by the bloodstream or lymphatic system. Cancer cells, by definition, grow and multiply rapidly, which is opposite to the normal control (called as neoplastic) and can invade surrounding tissues, and colonize distant organs (if malignant). Cancerous cells are thought to arise from a single cell that has experienced an initial mutation and further undergoes many additional mutations, and other related changes in the cell. So we can say that benign tumor is non-cancerous while the malignant tumor is cancerous. At this moment we will be discussing the general difference between both types of tumors, with a summary on them. Meaning The over growth of the cell, forming a lump (compact mass) at the site of origin, but do not metastasize are called as the Benign tumor. The over, abnormal, uncontrollable growth of the cell, which can metastasize to other parts of the body through the blood stream or lymphatic system is known as the malignant tumor. The rate of growth Slow-growing Fast growing cells, as they divide rapidly. Invasion activity Benign tumor does not invade the surrounding tissue. A malignant tumor has the capability to invade the surrounding tissue. Ability to spread Benign tumors do not spread at the distant place. They only grow at the place, where they started. A malignant tumor has the capability to spread at the distant place, using blood or lymphatic system as their medium. Appearance of cell In benign tumor cells often appear abnormal as that of the normal cell growth and are readily detectable by the pathologist. Even in case of malignant tumor, cells appear to be abnormal, irregular in their shape, enlarge size, dark color cells, abnormal growth of nucleus, nuclei, DNA and chromosomes are observed under the microscope by the pathologist. Systemic effect The benign tumor shows their effect in the site of origin only and does not spread. Malignant tumor effects throughout the body thus resulting in weight loss, fatigue, this is also known as the paraneoplastic syndrome. Recurrence Chances of recurrence are less of the benign tumor if removed by surgery. As malignant tumor get spread to any part of the body, so there are chances of recurrence even after surgery. Breast cancer for instance if removed may recur in the lungs or bones. Treatments A benign tumor can normally be treated by surgery, medication, or some time by radiation therapy. In the case of malignant tumor-chemotherapy, radiation therapy, or immunotherapy medications are given to eradicate the cancerous cells. (skin, breast, cervix, and mucous membranes), Osteochondromas (bones). Sarcomas (connective tissues such as tendon, muscles, fat and cartilage), Carcinomas (organs and gland tissue such as cervix, prostate, lung, breast and thyroid). The non-cancerous growth of the cell in the body is called as the benign tumor. They can form anywhere. Whenever a person discovers a lump or a mass in his or her body, which can be felt by touching, one should concern doctor for their check-up. Most of the tumors in the body are benign only, though the exact cause is still unknown. But is believed that when the cells of the body divide and grow at a higher rate than normal and the body is unable to control the cell growth it is likely to be said as the benign tumor. Environmental factors, exposure to radiation. There are many types of tumors, that can get develop in different parts of the body and are named after the part where they grow, like- Lipomas (grows from fat cells), Myomas (from muscle cells), Nevi (moles), Fibroids, or fibromas (found in fibrous tissue), Adenomas (organs and other internal structure of the body). Diagnosis is done using a variety of techniques, firstly by physical examination, collecting medical history and other imaging techniques like CT Scans, Ultrasounds, X-rays, Mammograms, MRI scans. Most importantly the cells of the benign tumor are surrounded by the ”sac”, which is a protective layer and segregates such cells from the normal cells and hence are easy to detect and removed. Treatment is not necessary for all the types of benign tumor, until and unless they cause any problem. The doctor suggests simply to wait, but sometimes it also depends on the location of the tumor. Though surgery is the most prominent type of treatment in this. Other include medication or radiation therapy. Benign tumors can be hazardous if they press on vital structures like brain, nerves and blood vessels. Maintaining a healthy lifestyle, eating a balanced diet, daily exercising can prevent health problems and cancers too. The first thing the doctor does after determining the cancer is to detect, whether it is benign or malignant. If the malignant tumor is detected, it means the cells have become cancerous. In Latin “badly born” is taken for malignancy. As discussed earlier the most important factor is the uncontrollable growth, multiplication of cells, which metastasizes (spread) to other parts of the body and even invades the surrounding tissue. Cancer cells acquire the special properties like alterations in cell signaling pathways, ignoring the cell signaling which controls the cell proliferation. The cancerous cells are highly unstable and travel to other parts by blood stream, lymphatic system or circulatory system. It is observed that malignant tumors do not have symptoms at the initial stage, but it can detect by the pain in lumps in any part of the body. Gradually with the growth of these cells, begin to press against the organs, nerves, blood vessels, pain and soreness at the site of occurrence. There is about 200 type of cancers; the biopsy is often used in determining the cancer results. Staging method is also used to determine the stage of cancer (0-4), the higher the number, the more aggressive the cancer is. The protocols for treatment may vary with the type and stage of cancer, the person suffering from. However chemotherapy, radiation therapy is the most common type of treatment given to the patient. The benign tumor can be defined as the over growth of the cell, forming a lump (compact mass) at the site of origin, but do not metastasize. But the over, abnormal, uncontrollable growth of the cell, which can metastasize to other parts of the body through the blood stream or the lymphatic system is known as the malignant tumor. Benign tumor cells are slow growing when compare to the malignant tumor cells which grow rapidly. Unlike the benign tumor, the cells of malignant tumor invade the neighboring tissues and thus spread to other parts. A benign tumor is diagnosed by the cell shape, growth, size and the ability to spread, in case if they get spread to other parts and even the cell growth, shape, size is not normal as that of another cell; they can be said as the malignant tumor. Even in the malignant tumor, the cell shape is irregular, enlarge, abnormal, and there is abnormal growth of hereditary material (DNA). The benign tumor shows their effect at the site of origin only and does not spread or metastasize, while one of the major characters of the malignant tumor is that it affects throughout the body thus resulting in weight loss, fatigue, this is also known as the paraneoplastic syndrome. Chances of recurrence are less of the benign tumor if removed by surgery although it is not the case with the malignant tumor in which there are maximum chances of spreading to any part of the body even there are chances of recurrence even after surgery. Breast cancer for instance if removed may recur in the lungs or bones. 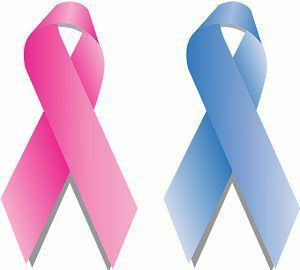 Treatment of benign tumor can normally be done by surgery, medication, or some time by radiation therapy, but in the case of malignant tumor-chemotherapy, radiation therapy, or immunotherapy medications are given to eradicate the cancerous cells. Examples of benign tumors are Nevi (moles), Myomas (muscle tissue), Adenomas (epithelial tissue that covers the organs and glands), Neuromas (nerves), Papillomas (skin, breast, cervix, and mucous membranes), Osteochondromas (bones), while Sarcomas (connective tissues such as tendon, muscles, fat, and cartilage), Carcinomas (organs and gland tissue such as the cervix, prostate, lung, breast, and thyroid) is the example of the malignant tumor. Cell goes on multiplying rapidly and continue growing. Tumor, by definition, can be defined as the rapid growth and multiplication of the cell which is against the normal control resulting in the form of lump or mass. If these mass is not harmful and is painless, they are said to be as the benign tumor. But if the lumps or mass metastasize (spread) to another part of the body and are painful, which can be life threatening too are called as the cancerous cell or malignant tumor. Hence one should visit the doctor as soon as he or she feels such symptoms in the body.